Sistema workers have walked off the job again. The workers came off the job for the 5th time at 9pm last night in an ongoing dispute over pay and conditions. Shreta Kumar, an assembly worker who normally works 60 hours a week says, “This is really hard for many of us low paid workers so close to Christmas, but we don’t feel like we have a choice. “Our employer has got away with low pay for so long that we need to educate them to treat us with respect,” she says. 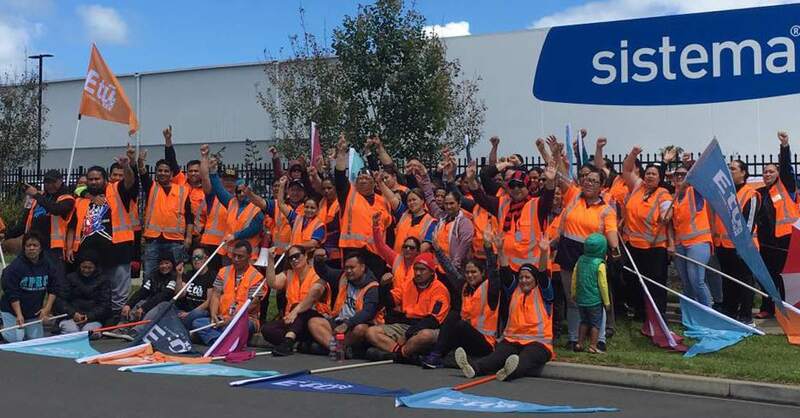 “Sistema are an iconic New Zealand brand, built on the back of low paid workers, who are struggling to provide for their families,” says union advocate Mat Danaher. “All we want for Christmas is a fair deal,” says Shreta.